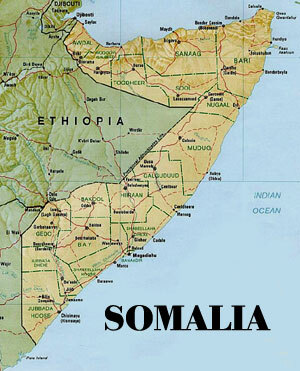 Nuclear and hazardous waste has been dislodged and released from Somalia’s shores and is infecting residents, according to the United Nations. 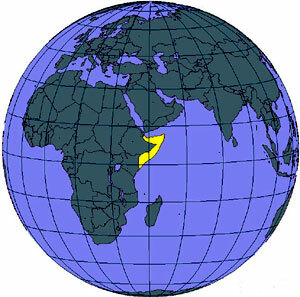 For about 15 years, the coast of Somalia has been used as an illegal dumping ground for several European companies. And these companies have dumped their most toxic substances, including nuclear and chemical waste, into Somalia's waters. Crew members from the offending ships would simply push the hazardous waste containers into the water along Somalia's coast. "There's uranium radioactive waste, there's leads, there's heavy metals like cadmium and mercury, there's industrial wastes, and there's hospital wastes, chemical wastes, you name it,” said Nick Nuttall, a spokesman for the United Nations Environment Program (UNEP). “It's not rocket science to know why they're doing it because of the instability there." The reason for dumping the waste in Somalia is quite simple: cost. “On average, it costs European companies $2.50 per ton to dump the wastes on Somalia's beaches rather than $250 a ton to dispose of the wastes in Europe,” said Nuttall. The dumping is illegal, but the cost considerations and ease of dumping and not getting caught has compelled many unscrupulous companies to continue this unethical and dangerous “cost-saving” act. “The Asian tsunami dislodged and smashed open the drums, barrels, and other containers, spreading the contaminants as far away as 10 or more kilometers inland,” said Nuttal. The waste is causing health problems for much of the coastal population of Somalia. "These problems range from acute respiratory infections to dry, heavy coughing, mouth bleedings, abdominal hemorrhages, what they described as unusual skin chemical reactions,” said Nuttal. “So there's a whole variety of ailments that people are reporting from these villages where we had a chance to look. We need to go much further and farther in finding out the real scale of this problem." The toxic waste has also contaminated the groundwater in some areas. A spokesman for the Somali government said that Somalia is vulnerable to illegal dumping because the coastline is very large and is unpatrolled.